Don't be a parent in denial. What happened to my teen that as making straight A’s always so concerned about getting their homework done on time, participated in school activities and looked forward to family gatherings? Adolescence? Peer pressure? Today’s society? A school incident such as bullying/cyberbullying? Sometimes it could be something a parent can’t detect however they do see their once flourishing child now sinking into a deep dark hole. They are either gravitating to a negative peer group or withdrawing all together, becoming secretive and actually failing school. Sometimes skipping classes or not attending school at all. Do you suspect they are using drugs or drinking? Seeking local help and all local resources should always be the first step. Once you have exhausted all these options and you still see your child is sinking deeper, it may be time to consider residential therapy. This is a major emotional and financial decision. This will take time and research. The Internet will be your friend and your foe at this point. It is important you understand the difference between Internet fact and Internet fiction. Who to trust and who is simply “selling” you a litany of programs. For a free consultation on this daunting industry, and a free chapter of my book, Wit’s End! Advice and Resources for Saving Your Out of Control Teens, visit www.helpyourteens.com. Look for programs that are not attached to “sales reps”. You want to speak directly to an owner or director. Someone that has a vested interest in your teen. Someone that their reputation will be reflected on your child’s success (or lack of). Someone who you can hold accountable through the duration of your teen’s stay. Look for the ACE factor. A=Academics – Always ask for a copy of their accreditation for education – be sure it is transferable back to where you live. C=Clinical – Be sure the clinical staff is credentialed. E=Enrichment programs – These are critical to be sure your teen is stimulated in a positive direction to want to make better choices. This isn’t about breaking your child down, it is about building them up. Ask for parent references of parents with the same gender and age of your own teenager. Also take it a step further. Ask for families that are in your same geographical area. This way maybe you will be able to meet with them and possibly even the graduate of the program you are considering. Keep in mind – Short term programs – short term results. Don’t get sucked into them. I have many more tips and offer free parent consultation at www.HelpYourTeens.com. Don’t reach your wit’s end and make a rash decision – made an education choice…. Be an educated parent – this a major emotional and financial decision. For the many people that know me, they know I don’t believe in Wilderness programs, nor do I advocate for short term programs. This doesn’t mean there aren’t reputable Wilderness programs in our country. There are, however chances are very good, after your teen attends one – within the first 30 days, the program will tell you it is likely you will need to go on to a residential therapy program. Which means…. Back to the first one – the costs are exuberant for Wilderness, and to combine it with another at least $50K for a boarding school is simply out of the equation for many families. I am writing this information today for two reasons. One, I have received several calls this week alone by parents that fell for the Wilderness road. Now they are out of money and need a program, but the funding is no where to be found. What do you do? Their teen is back to the streets – smoking the dope and failing in school. (Let’s also remember most Wilderness programs don’t offer academics). One thing these at-risk teens need is consistency. Usually for the past several months, even years they have been spiraling out of control, driving down a negative path with a negative peer group. Going to Wilderness is a great experience – they get to vent to their counselor, talk about their feelings and dig deep inside. They even get a new appreciation of sleeping in their bed or a bed. They are also knowing that once they just get through these next 6-8-10 weeks – they are home free. Now, you tell them they are not home free – they are going to the “next step” – a longer term program. Now they have to get over the disappointment, anger, resentment and most of all, they have to start all over again with a new therapist – a new staff and a new setting. Sigh…..
Of course this is the case for the families that can afford that next step. If they can’t – some will be facing a probation officer or public defender within a few months. Solid changes and “lasting” changes cannot be made within 6-8-10 weeks. This is way an average successful program is 6-9-12 months (not weeks). On the same note, you don’t want programs that are taking your teen completely out of the family for more than 18-24 months – that is not emotionally healthy. It can contribute to abandonment issues -which can backfire. Do you want to learn more? 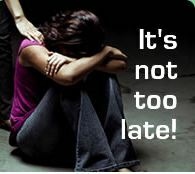 Visit www.HelpYourTeens.com and find out about resources and options for troubled teens. Are Wilderness program worth it? It is my opinion of after a decade of talking with thousands of family – no, they simply are not worth it. That doesn’t mean families they aren’t useful to some people, but from the many I have spoken with – they do have good experiences however know that it is step they didn’t really need. Of course, we all are different. What happened to that sweet 5 year-old you sent off to Kindergarten? What happened to that athletic tween that loved T-Ball? What happened to my little angel that loved going to the mall with me? What happened to my child that always worked so hard to get good grades and always worked to make me proud? Where did their childhood go? Today’s society is challenging for teenagers – but can be even more distressful for their parents. When slowly they watch their good child turn into a tween or teen that they barely recognized. Underneath the questionable clothing, the piercings we had to reluctantly agree to – and the tattoos they got on their own – our child is deep in there somewhere! After exhausting all local resources, whether it is an excellent adolescent therapist to local support groups and even out-patient facilities, you are looking at a teen that is heading down a dark road. It is time for parents to dig deep and find the strength to get their teen the help they need – unfortunately it usually is not at home. Residential therapy is a big step and a step not to take lightly. Are you considering a Residential Treatment Center, Therapeutic Boarding School, Military School or other out of home options? Learn about the differences and find what is best for your teen – visit www.helpyourteens.com. Read Wit’s End! Advice and Resources for Saving Your Out-of-Control Teen today! 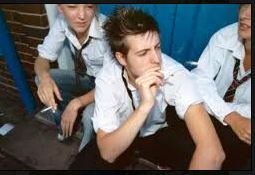 If you have never had to deal with a teenager that has been out-of-control or extremely defiant, using drugs, hanging with the wrong peer group or making extremely bad choices, you may never hear of teen transportation or also known as teen escorts. For the many families that have employed the services of a teen transportation company, one name always is clear – Safe and Sound Youth Transportation. When a parent comes to the conclusion they need to get their teen outside help of a residential therapy school or program, many will contact the owner of Safe and Sound Youth Transportation, Lorraine Colpitts. What you will find is a caring, nurturing, well-educated and professional in her field on the other end of the phone. Just recently a Broward County family used the services of Safe and Sound Youth Transportation and as difficult as it was, it was a decision they made in the best interest of their daughter. As their daughter was smoking pot, frequently not coming home and simply defied her parent’s, Carol and Mark (names are changed for confidentiality) knew they had to do something. After contacting Parents’ Universal Resource Experts, and determining what the best program would be for their 16 year-old daughter, their next call was to Lorraine at Safe and Sound Youth Transportation. Lorraine Colpitts said she speaks with parents on a daily basis and assures them they are not alone. She give them support both emotionally as well as getting them to the next step of healing for the family. If you are a family that is struggling with an at-risk teen, know there is help out there. 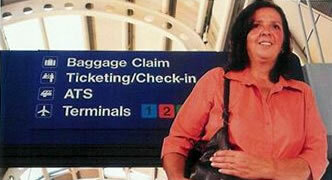 Realize there may be many teen escorts, however using one that is licensed and insured to transport teens is critical. You don’t want just anyone transporting your teen, be sure they use ethical methods, and understand that your child’s safety is priority. To ensure the Safe and Reliable Intervention/Transport of your teen from your home or your child’s current placement to your chosen destination in the most professional, yet nurturing and efficient manner possible. We go the extra miles…. We take having the responsibility of your child very seriously and will see them all the way through this part of their journey. We are committed to you and your family, and will always treat them with the utmost dignity and respect, kindness and compassion. For more information call Lorraine at 1-866-990-1900 or visit www.safeandsoundtransportation.com. 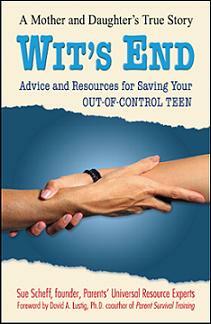 Lorraine Colpitts also contributed to Health Communications parenting book, Wit’s End, Advice and Resources for Saving your Out-of-Control Teen by Sue Scheff. Are you at your Wit’s End with your teenager? Are you at your wit’s end with your teen? School is back in session and your teen is either not attending classes or decided he doesn’t need school anymore – let’s just get a GED. Seriously – that is the way some teens are thinking now. Generations prior, GED’s were frowned upon, and usually meant you had a child that was a juvenile delinquent. Today we have many resources for parents to get their teens back on a positive road, but it takes time, determination and research to find that right program. They will come under many names such as, Wilderness Programs, Therapeutic Boarding Schools, Residential Treatment Centers, Behavior Modification, Emotional Growth, etc….. It is important to realize what you are looking at and what you need for your individual teen. 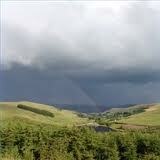 Boot Camps – In my opinion, stay clear of anything punitive. This is not beneficial to building your child back up to making better choices. 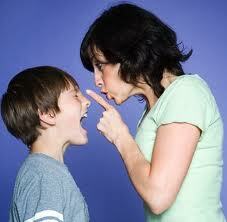 In many cases the teens come out with more anger and resentment than they went in with. Look for programs with positive stimulation and enrichment programs. Are you dialing toll free numbers that go to marketing arms? Stay clear. These are people that are more in tune with programs rather than your teen’s emotional needs. They are paid commission by selling a certain group of programs. You need to be sure you are speaking with a program directly – the owner is the best one, since that person will be responsible for your child’s success – and their reputation is vest on it. Are you on the East Coast and they are telling you that Utah or the West Coast is your only answer? Not true, there are many good programs are the East Coast. Of course choosing your program isn’t solely based on geographic, however it does make it easier to visit your child – and let your teen know you are involved. Especially for working parents – traveling to the West Coast from the East is at least a full days trip on both ends – leaving a limited time to visit your child. More to come…. Visit www.helpyourteens.com for more information.